The soda tax came to Harrisburg and got popped, big time. A state Senate hearing billed as merely a "conversation," but seen by tax supporters as prelude to a state-forced repeal, was anything but sugary. The tax was tagged destructive to the city's economy, devastating to grocery stores, putting people out of work, harmful to poor neighborhoods, and racist. It's "duplicitous," said Philly Democratic Sen. Tony Williams, because the people it taxes most are the people it purports to help most. At one point, discussing city demographics, Williams said, "We don't tax lattes. Maybe we should." Jeff Brown, owner of several Philly ShopRites and chairman of the Pennsylvania Food Merchants Association, was blunter. "It's a racist tax," he said. "It falls disproportionately on people of color and assumes they can't make wise decisions regarding their health." The tax, 1.5 cents an ounce on sweetened and diet beverages (4,000 products, says the industry), took effect last January 1 to raise $90 million a year for citywide pre-K, parks, rec centers, community schools and libraries. It's touted as Mayor Kenney's major accomplishment, praised as providing a pathway to better health, better schools and, as Kenney said after it easily passed City Council last year, the start of "changing the narrative of poverty in our city." Donna Cooper, of Public Citizens for Children and Youth and a supporter of the tax, said opponents and the beverage industry want to "scare the public." She said the tax so far provided hundreds of jobs for pre-K workers and a better chance for 2,000 kids. And Jonathan Kirch, of the American Heart Association, said the tax "will reduce diabetes, heart disease, stroke and other chronic illness." If all this sounds familiar, it's because through long debate and legal proceedings the tax has drawn two narratives: one of promise, one of plague. Clearly that continues. And Tuesday's hearing served as a signal the tax could be front and center in the 2019 mayor's race, and maybe part of the 2018 governor's race. 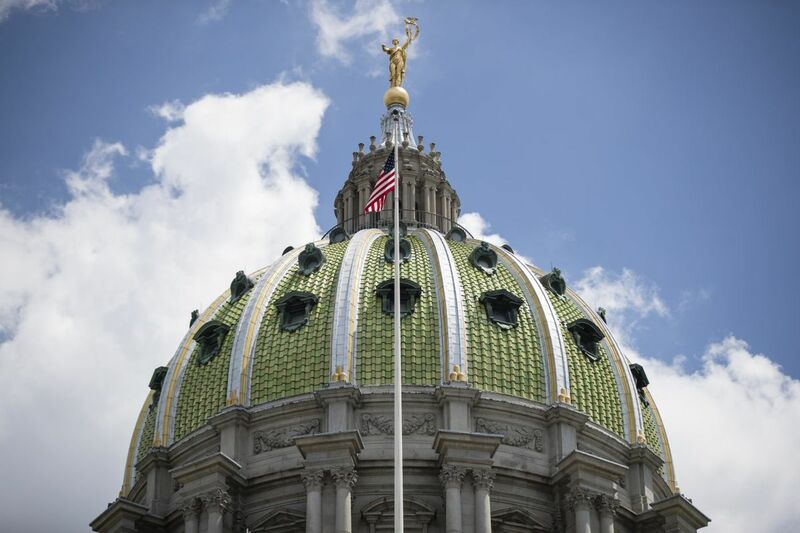 The hearing was requested by Williams and conducted by Sen. Scott Wagner (R., York), chairman of the Senate Local Government Committee and an announced candidate for governor next year. When I asked Williams if he's running for mayor again (he finished a distant second to Kenney in 2015's primary), he said, "Stop, stop, no, people keep saying that." This sounds to me like "maybe." Williams and Wagner tried to hold this hearing in Philly in June but were shouted down by protesters supportive of the tax. This time there were no protesters. But there was City Controller Alan Butkovitz, who opposes the tax and might be running for mayor. He testified the tax is killing local businesses, is falling short of projected revenue, and is "an unnecessary bait and switch" with the city wage tax. He said if scheduled wage tax reductions (over the next five years) were waylaid, the soda tax could be canned and its beneficiaries funded. When I asked Butkovitz if he's running for mayor, he said, "We don't know yet." This sounds to me like "yes." There also was testimony that the soda tax will result in lower-income neighborhoods losing access to fresh foods as grocery stores are forced to close. Brown, for example, who also owns ShopRites in Philly suburbs, said his city stores' profits are down 15 percent, his beverage sales are down 60 percent, and he might have to shutter stores in poorer neighborhoods. There was other testimony about sales declines and upswings in soda purchases outside the city. And Danny Grace, president of Teamsters Local 830, said 150 beverage production workers and drivers have been laid off since the tax took effect. Meanwhile, there's a Senate bill in the works to allow the state to preempt Philly and outlaw the tax. Butkovitz tells me he might support such a bill. Wagner says the tax "doesn't make sense to me." And Williams says, "I'm not going to stop. … I will organize [a further] conversation in Philadelphia."